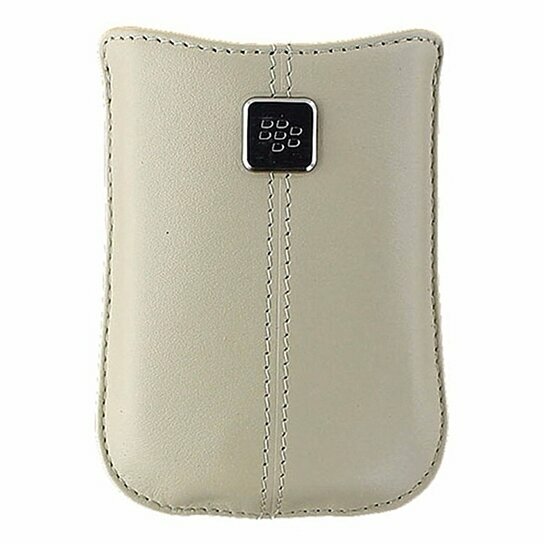 BlackBerry products, Leather Pocket for BlackBerry 8520, 8530, 8900, Bold 9700. Light Tan / Sandstone leather finish. Metal BlackBerry Logo. Convenient Accessibility, Sleek look.